What if you could see through your trailer? 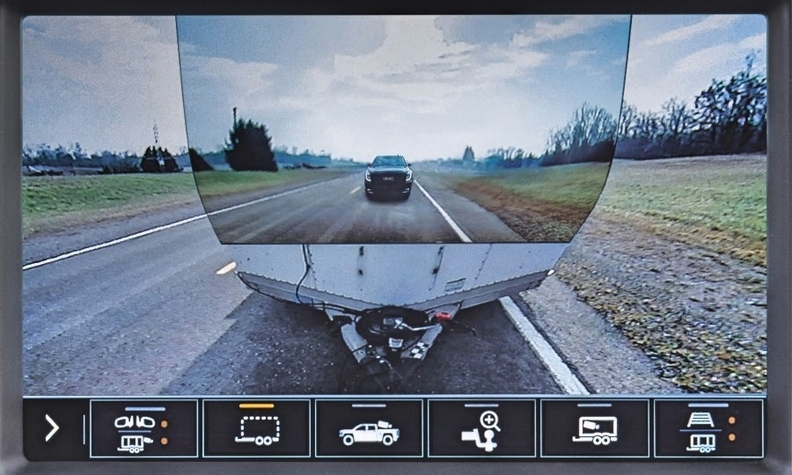 2Valeo XtraVue Trailer uses a camera system to give the driver a view of objects in blind spots. The Valeo XtraVue Trailer might be the first vehicle technology to make magician David Copperfield jealous. The new camera system essentially makes a trailer invisible to the driver. It displays on a screen the view behind the truck and trailer, helping to illustrate objects and obstacles in blind spots. The technology provides a clear view when navigating parking lots, merging into traffic or making a tight turn, among other scenarios. The XtraVue Trailer is expected to debut in late summer under the name "transparent trailer view" on 2020 Chevrolet Silverado HD and 2020 GMC Sierra HD models. The system likely will be available on other full-size pickup models, as well as on non-General Motors vehicles. The technology works with a box or camping trailer up to 32 feet long using a conventional hitch and an available auxiliary accessory camera mounted on the rear of the trailer. On early GM applications, the view is integrated into a 15-camera system, including a tailgate-mounted camera.